It's easy to get Phantasy Star Online (PSO) for Windows to connect to a different server. Here's how. Go to SCHTHACK's downloads page. Click the link "IPpatch" to download KOTRT's IP Patcher. 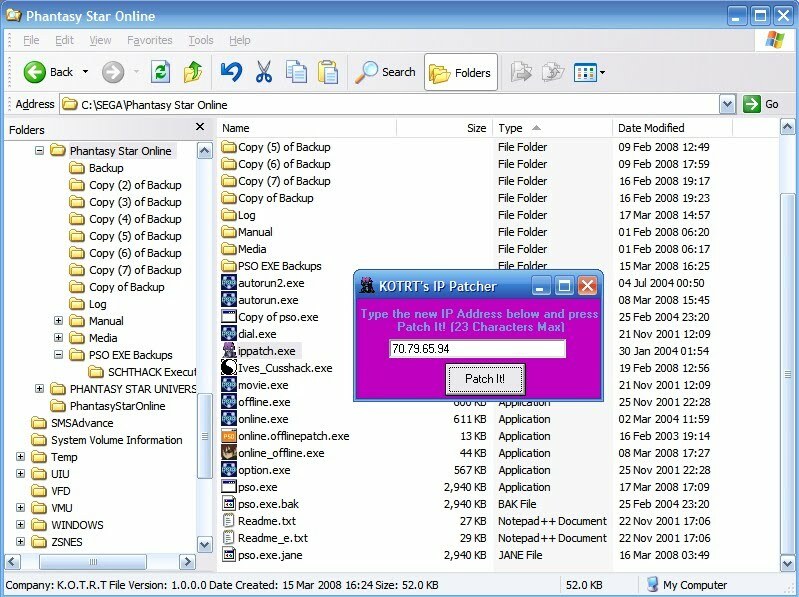 The patcher is in a ZIP file. Open the ZIP file. It should contain ippatch.exe. Unzip ippatch.exe into your PSO folder (by default, C:\Program Files\SEGA\PhantasyStarOnline). That's it! The next time you start PSO in Online Mode, it should connect to your chosen IP address. Have fun!